We have been trained to believe that what we “think” and “see” are real. Not necessarily what we actually see, but what we see on TV or through the Internet. But how often have you actually seen, what they say happens on TV … in your reality? You can spend your whole life afraid of things that will not ever happen to you. All that you are afraid of is a belief that it could happen to you. But come on … take a look at your life … honestly … you’re alive right now somewhere reading this … didn’t everything work out? Honestly, hasn’t your life worked out for you, everything has worked out and you are now in the moment you are in, with a whole day ahead of you to be surprised by what shows up. The fear that arises from what we “think” and what we see on TV or read or hear on the Internet is not really fear. It is fear of fear. 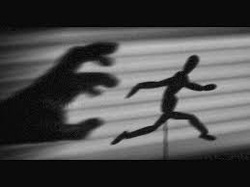 Fear of fear, is when you are afraid that something may or may not happen because of something you “think” or from something one-step removed from your realty (i.e., like TV or Internet news/talk). One of many huge Gifts that has been received from reading the “Autobiography of Mark Twain”, is that he shows (since it was written over 100 years ago) that things do not really change. People are still scared of the same things that happened or were thought of 100 years ago. The newspaper stories from back then are not much different than now, there was still corruption, unemployment, murders, abuses, scandals, wars … everything that is happening now … was happening then … it just looks different because the faces and names have changed. This was/is a huge gift to see … because when one is willing to see to stop and take an honest look, you begin to see that things just happen. There isn’t actually cause and effect, but life happens and people (you) comment on it. You will begin to start worrying about it less and watching/Witnessing it more and more. You begin to wait and see what happens, instead of saying what will happen. Life will reveal itself to you. It always is and has anyway, you just *thought* it was the other way around. When you are honest … you see that everything has always worked out, this will continually reveal itself to you, as each problem (seeming) arises you will begin to relax more into watching how it resolves itself and you will watch your role in it rather than believing you are the role. It doesn’t mean that you will or will not like how it works out, but it will work out and not just for you but for everyone. However, if you are starting to see the cracks in the stories of how bad it all is, then go out and look at the day and smile at it. It’s all for you.